“I am supporting the US Senate’s effort to make permanent the Hyde Amendment, which prohibits taxpayer funding for abortion in spending bills. Today, I have signed a letter to Congress to make clear that if they send any legislation to my desk that weakens the protection of human life, I will issue a veto. And we have the support to uphold those vetoes,” he said. “Forty-six years ago this month the majority on the Supreme Court turned its back on that right, but in that moment, a movement was born, a movement defined by compassion and love; a movement animated by faith and truth; and a movement that’s been winning hearts and minds every day since,” Pence said. The March for Life is held in Washington and has taken place every year since 1974. Since the Supreme Court ruled abortion legal in 1973, marchers have descended upon Washington to protest the decision. 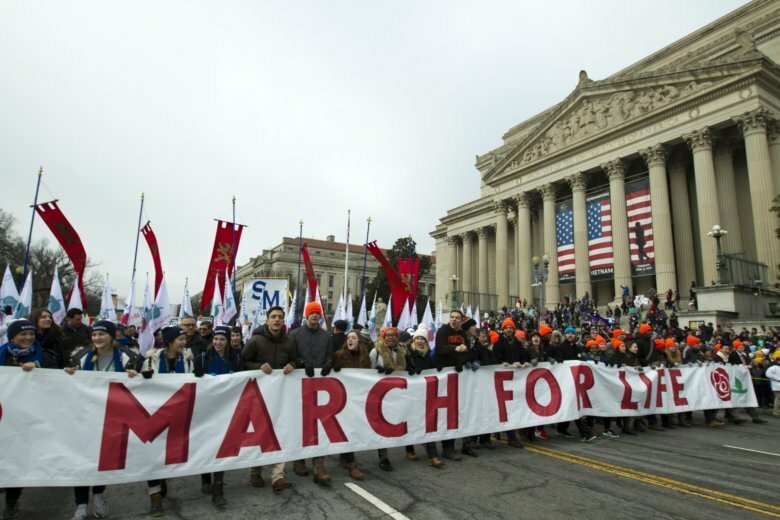 “The March for Life began in Washington, D.C., as a small demonstration and rapidly grew to be the largest pro-life event in the world,” the march’s website reads. This year’s theme is “Unique from Day One,” with an emphasis on science. “Science is on the side of life,” the March for Life 2019 website said. “When life begins and the stages of prenatal development are scientific facts. Humanity — and our uniqueness as individuals — begins at day one, at fertilization. Life, in its most vulnerable form, should be protected.